It will be remembered as one of the toughest years for rail in recent memory with commuters up and down the country feeling the effect of mass disruptions caused by the introduction of a new timetable and poor train services but Network Rail has vowed to turn it around. The UK’s rail regulator - Office of Rail and Road (ORR) – took a bold step in 2018 and did something it has not done for the best part of a decade when it said punctuality and reliability on the UK railways were at their worst for five years. New boss Andrew Raines has conceded how Network Rail has “let down” passengers but insists everyone connected is fully committed to ensuring higher levels of performance in the future. On a positive note, the ORR does believe the organisation is better placed to "deliver efficiently" in its next five-year funding period - CP6, compared with the same point five years ago. Back in February 2018, Network Rail outlined its vision for CP6 in which it said it aimed to slash train delays by 15% and provide 1,000 extra services by 2021. The rail operator says the plan “will drive economic growth, jobs and housing by delivering a better railway for the millions of people who rely on it”. The scale of the task is undeniable, for the past 15 years, government-owned Network Rail, has been responsible for 2,500 stations, 20,000 miles of track and 40,000 bridges and tunnels. It boasts an exemplary safety record but critics are quick to highlight missed targets and budget overspends. As the firm finalises its plans, those in charge of plotting the next five years of delivery see it as a chance to change and make marked improvements for the millions that commute on a daily basis. 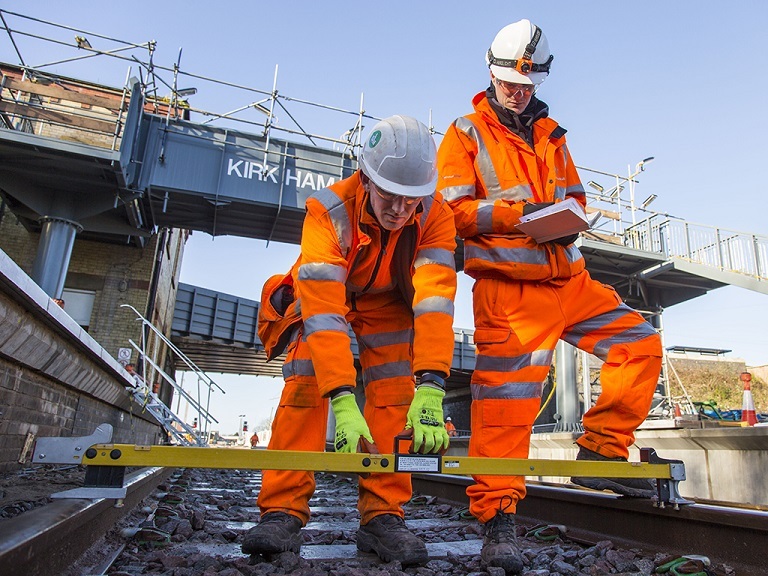 With the budget finalised, Network Rail have revealed the majority of the £53bn of funding from government will be spent on operations, maintenance and renewals rather than enhancements. The key focus for the next five years said to be maintaining the railway and ensuring services that passengers and freight users can rely on. Charles Robarts, Network Rail’s director for Planning and Regulation, concedes there is work to be done in rebuilding the trust of the UK public. To turn things around, the UK railway owner is striving to work closer with train operator partners to ensure passengers come first. A change in the way in Network Rail sees itself will also be crucial during the next five years. The most recent standout change is Network Rail’s devolution plans to accelerate “radical change”. It has announced a major restructuring programme which will bring track and train closer together and include five regions, managing directors for each, and 13 routes under them. "Adopting a bottom-up appraoch for CP6 has provided greater clarity on the estimated spend and increasing confidence in our forecasts." But what will be the big differences to the last five years? CP5 was a period that saw a number of flagship projects completed like the roll-out of the Thameslink Programme to the modernisation of stations including London Bridge, Birmingham New Street, Liverpool Lime Street and Reading. Well, the UK is bound to see less big project, enhancement work in CP6, with maintenance and renewals the priority for Network Rail. With defined routes, London North Western will receive up to £8.7bn and Wales, 1.9bn, the organisation hope decision making will be faster with managing directors able to focus on local issues for those lines. This represents a notable switch from the “top down” approach to costing with the implementation of a “bottom up” method allowing for significant improvements in the business planning process for CP6. But despite the change in emphasis for funding in CP6, Robarts is adamant that this doesn’t mean enhancements to the railway will stop while we move towards 2024. This year it was also announced that Network Rail would be saying goodbye to the man at the helm of its Digital Railway, David Waboso. It’s just been revealed that Waboso’s successor will be from within with Stuart Calvert taking up the reins from April. But with 63% of the network’s signalling needing replaced over the next 15 years, Network Rail’s continued digital transformation will be crucial in ensuring faults on the line are kept to a minimum. Calvert, the current director for Programme Technical Services and Supply Chain, says the wave of signalling renewals that are due in the next 15 years provides an opportunity to harness the benefits of introducing digital forms of train control. There is little doubt that the next few years will be pivotal for the organisation and ultimately CP6 is about “getting back to basics” and providing a service that passengers and freight users can rely on – something Network Rail may have lost sight of in CP5.